Posted February 20, 2019 by Mitch Hitch & filed under City News. While the race for Balmain heats up between Labor and the Greens, the Liberal Party’s candidate is missing in action. The electoral district of Balmain encompasses the Leichhardt Council area, which includes Balmain, Leichhardt, Lilyfield, Annandale and Rozelle, as well as Glebe and part of Ultimo in the City of Sydney. Running for Labor is public health researcher Elly Howse, and though this is her first election she’s not new to politics having joined young Labor while studying at the University of Sydney and becoming president of the university’s SRC. Ms Howse tells City Hub it was a lack of young people in parliament, especially women, that inspired her to put her foot in the race. 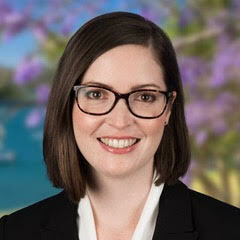 Originally a Labor stronghold, Jamie Parker of the Greens has been representing the seat of Balmain since 2011. Before that, the seat was held by Labor member Verity Firth, who served as the Minister for Education in Kristina Keneally’s Labor government. Parker was re-elected in 2015, and the Greens held the majority in 20 of 23 polling places. Parker, the first Green to be elected to the NSW State Legislative Assembly, is a well-established figure in the Balmain area. Before entering parliament, Parker served as a Leichhardt Councillor and as the convener for the NSW Greens. Historically Labor has found it difficult to win back seats after they have been lost to the Greens, but Ms Howse says she has received “fantastic response” from the community on the campaign trail. She emphasizes that Voting for Labor is the only way to ensure a change in government come March. “We can’t afford another term from this conservative government. Our community has the power to elect a Labor member and help change the government,” she says. The future of Balmain’s green spaces will be one major issue on the minds of voters come election day. The future of Callan Park in Lilyfield has been a subject of controversy for many years, but the debate was sparked again last week when leader of NSW Labor, Michael Daley, expressed his openness to “commercialising” the heritage-listed park should a Labor government win in the election. Allowing businesses to be established in Callan Park would mean changing the Callan Park Act which protects the site from privatisation, commercialisation and over-development. However, Ms Howse denies that Labor’s plan is to commercialise the park or to change the Callan Park Act, and says they have received community support for their plan. “It is wonderful to see groups like Friends of Callan Park support our announcement. They have campaigned on the public trust for a long time and I look forward to working with them in a Labor government,” she says. In his announcement, Mr Daley promised to spend $10 million to ensure the “positive future” of the park – half for repairs and restoration and the rest for a public trust for future upkeep of the park. “This trust will start work on maintaining the buildings and plan for the future,” Ms Howse explains. But Mr Parker told the Inner West Courier, the community wants movement on Callan Park, but Labor “can’t be trusted” to protect it. Candidate for the Liberal party is Wenjie Zhang (known as Ben Zhang), who also ran for the Balmain Ward in the 2017 Inner West council election. In contrast to the Labor candidate’s social media savvy, Ms Zhang has minimal online presence and does not have an official profile on the NSW Liberal party’s website. Before the 2015 election, the Liberal candidate for Balmain, Lyndon Gannon, told the Inner West Courier that his party expects members who have never held a seat to avoid public forums. City Hub was told the same thing by the President of the Darlinghurst Business Partnership when the Liberal candidate for Sydney was unable to attend a public debate as there was “a blanket ban on new candidates participating in debates”. These claims were denied by the Liberal party. City Hub reached out to the party’s media team to contact Ms Zhang and some questions were passed on to her campaign team, but as of publication no response was provided. When asked whether she had seen Ms Zhang on the campaign trail, Ms Howse responded that she hadn’t.